Product prices and availability are accurate as of 2019-04-07 23:55:38 EDT and are subject to change. Any price and availability information displayed on http://www.amazon.com/ at the time of purchase will apply to the purchase of this product. 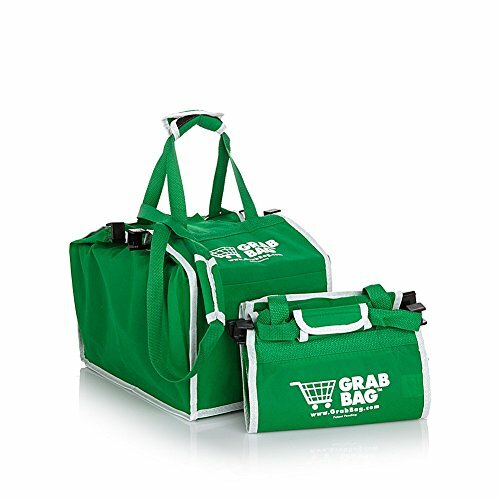 "Grab Bag is the new reusuable shopping bag that makes it fast and easy to pack and carry a shopping cart full of groceries in one trip. 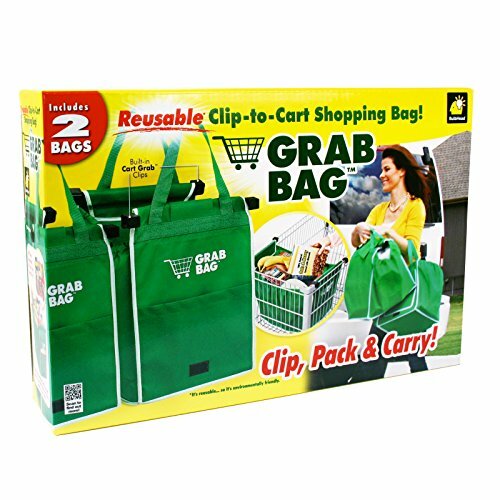 Grab Bag has Cart Grab clips that grab onto your cart, and expandalbe sides stretch to stay open! 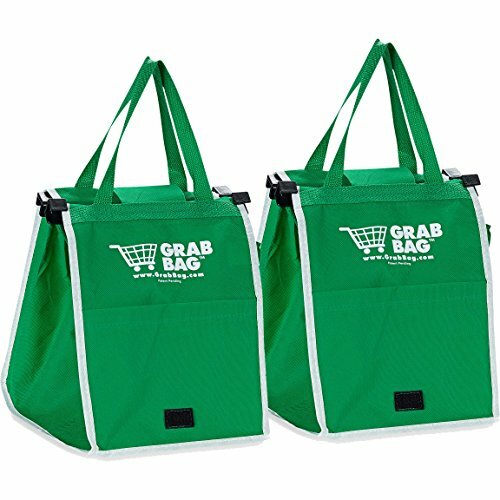 Grap Bag is reusable and wipes clean with a damp cloth. You will find a million and one uses for Grab Bag so take your home today. 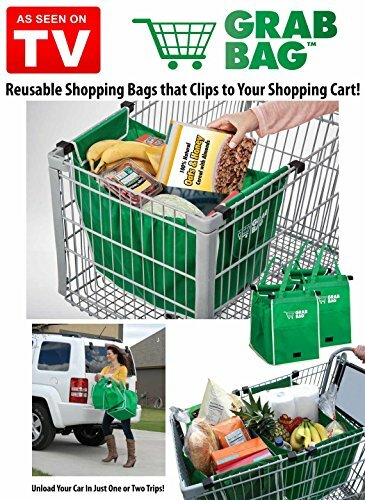 Reusable Clip-to-Cart Shopping Bag! Environmentally Friendly! Boxed, includes two (2) Bags. Clip, Pack & Carry with Built-in Cart Grab Clips. Expandable Sides: stretch to hold 4 plastic bags worth of groceries. Generous Pocket: holds coupons, wallet or cell phone. Broad Base & Secure Flap: keeps groceries from spilling out. Just wipe clean with a damp cloth. Folds Flat for each storage. It's reusable...so it's environmentally friendly."